Addition of new albums are announced via Facebook. 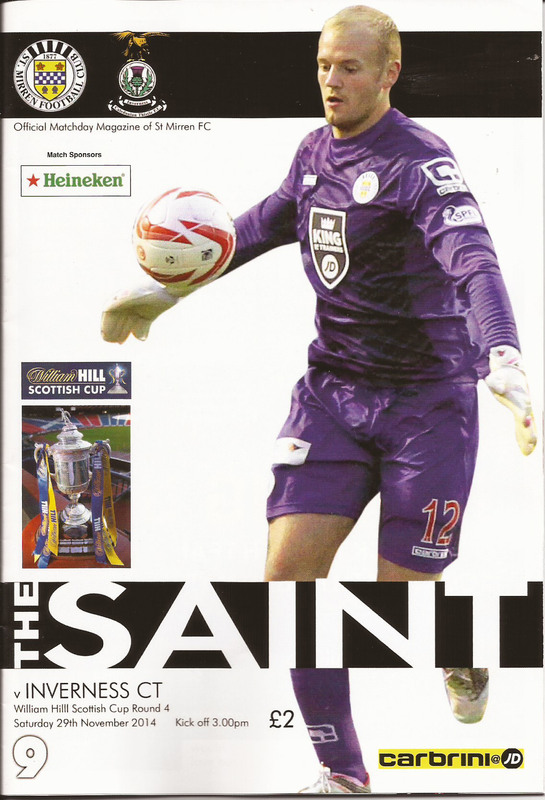 This page provides links to the albums related to the fixtures leading to, and including, the 2015 Scottish Cup Final. 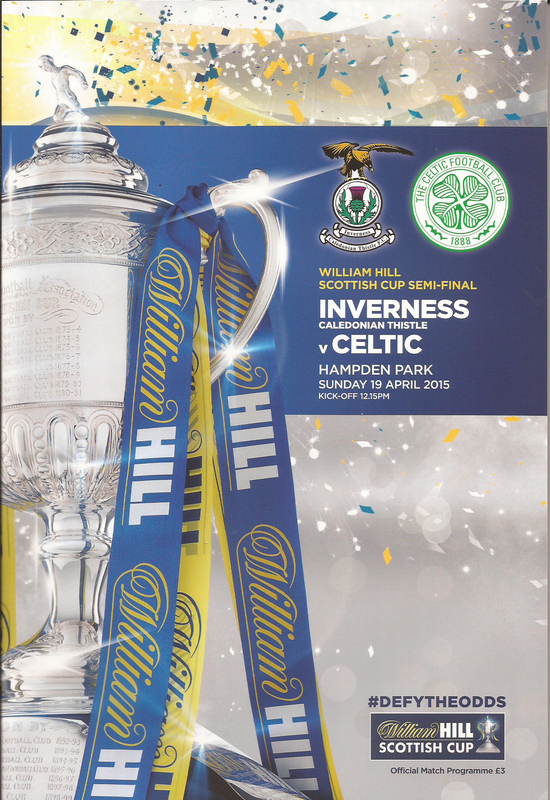 The Cup Final and Parade albums also contain photographs kindly provided by Inverness photographer Ken Macpherson. 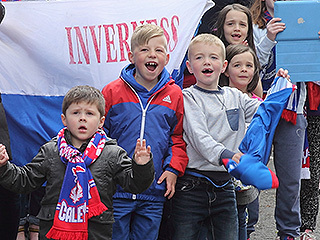 The Caley Jags team and backroom staff were greeted with a sea of red and blue when thousands of fans gave the cup final heroes a hearty highland welcome. 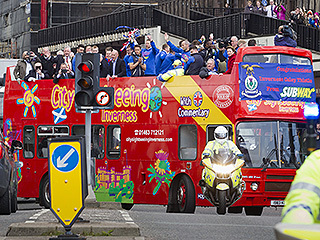 The Inverness streets were lined with a throng of jubilant supporters who cheered the players as they travelled through the town in an open-top bus showing off the Scottish Cup. 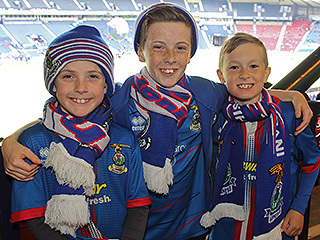 They set off from the Tulloch Caledonian Stadium to join up with the five thousand partying fans at the Northern Meeting Park. This album features players and supporters following the final whistle, marking the conclusion, of the 2015 Scottish Cup Final. Caley Jags won the Scottish Cup after going down to ten men and being pulled back level by a very competent Falkirk side. 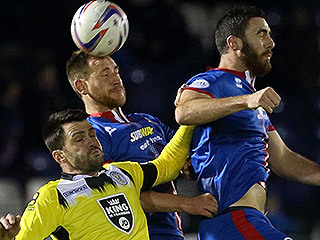 Caley Jags took the lead through Marley Watkins on 38 mins. Watkins got on the ball through an Arron Doran pass. Watkins then rounded Jamie MacDonald the Falkirk keeper to slot into the vacant net. On 74 mins Carl Tremarco earned a red card after pulling down Blair Alston, who was through on goal. Falkirk scored through the head of Peter Grant on 80 mins to bring the sides level. 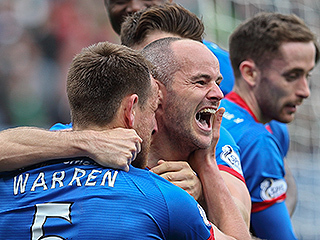 Caley Jags got the winner on 86 mins through James Vincent. 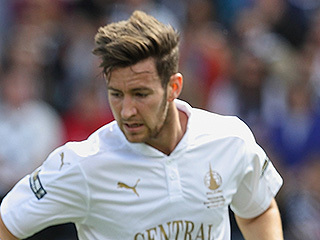 Watkins broke through the Falkirk defence only to have his shot parried by MacDonald. The ball fell to Vincent who was left with a simple tap-in. 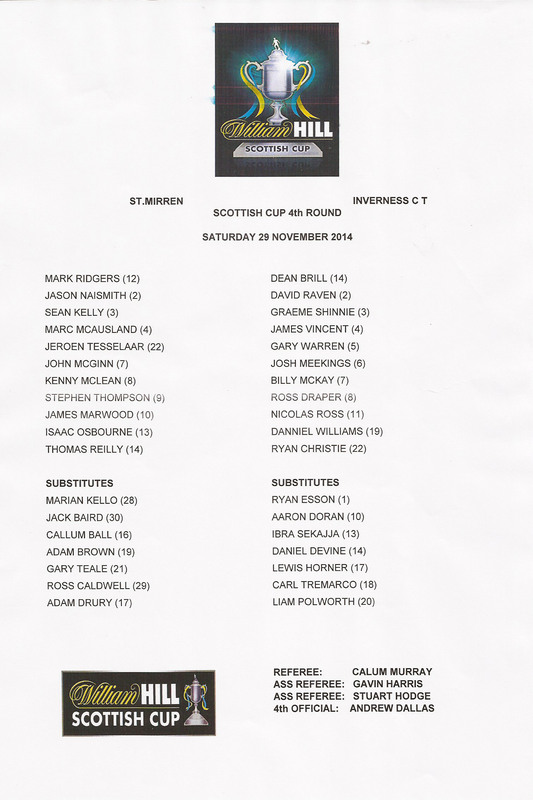 Manager John Hughes: "... I'm absolutely elated, but we didn't half make it hard for ourselves. 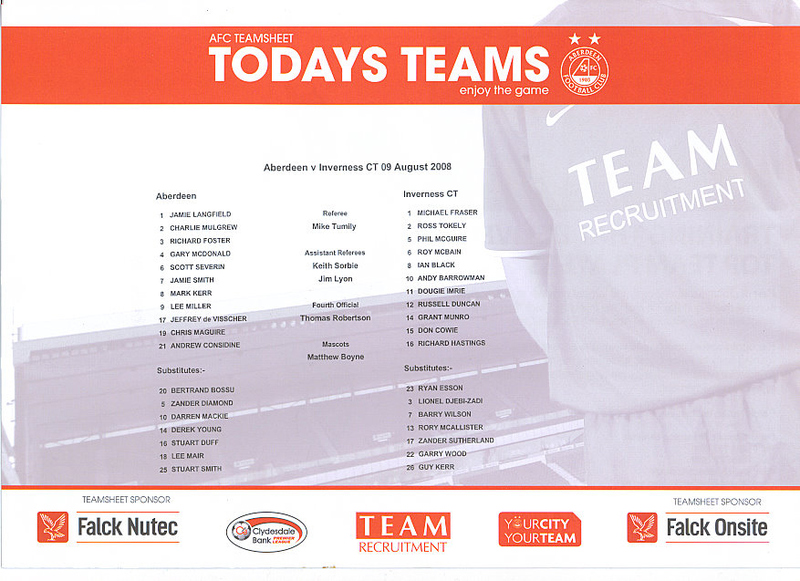 I don't want to sound like Sir Alex Ferguson back in his Aberdeen days but the second half just wasn't acceptable. We brought it on top of ourselves and got a man sent off. But once again, the spirit in the team with ten men, they dig it out. And to do it in a Scottish Cup final is remarkable. I'm absolutely delighted we won the game and Tremarco's blushes are spared..."
This album features players and supporters prior to the kick-off of the 2015 Scottish Cup Final. Caley Jags denied Celtic the treble for this season after taking them to extra time during their Scottish Cup Semi-Final encounter at Hampden. Virgil van Dijk put Celtic ahead on 18 mins after Gary Warren took down James Forrest just outside the penalty box. Van Dijk took a curling free-kick over the Caley Jags' wall and past Ryan Esson into the back of the net via the inside of the near post. It remained 1-0 going into the break. Caley Jags were level on 58 mins through a Greg Tansey penalty. This came after Marley Watkins was brought down by keeper Craig Gordon, who was rewarded with a red card. Replacement keeper Lukasz Zaluska was unable to stop Tansey's shot. Full time finished at 1-1. 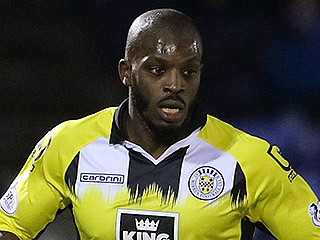 Edward Ofere put Caley Jags ahead on 96 mins. Celtic substitute John Guidetti brought the sides back level on 103 mins. 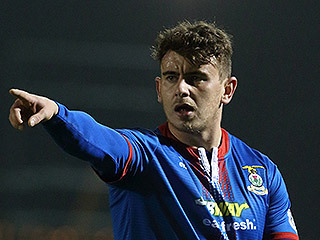 The match winner came for Caley Jags on 117 mins through David Raven. 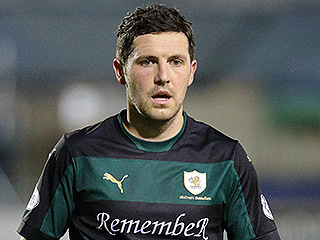 Manager John Hughes: "... That's for Dean Brill, a guy who's been absolutely outstanding for us. I'm absolutely delighted. Well done to the boys and supporters. 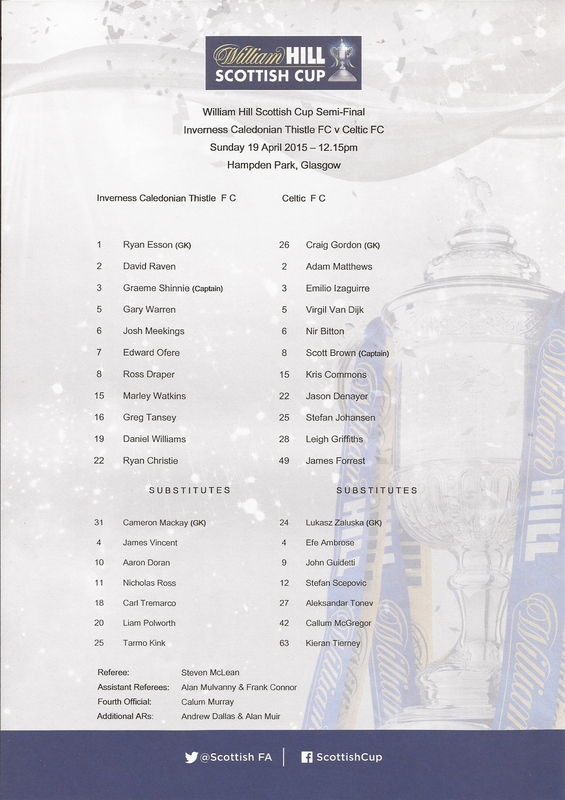 I didn't know that was our first Scottish Cup final and it's a good story, isn't it? It's a dream. We've lost our goalkeeper, our top striker at Christmas, Billy Mckay. We had to sell him as it was good business for the club. We lost our inspirational skipper right at the start of the season. 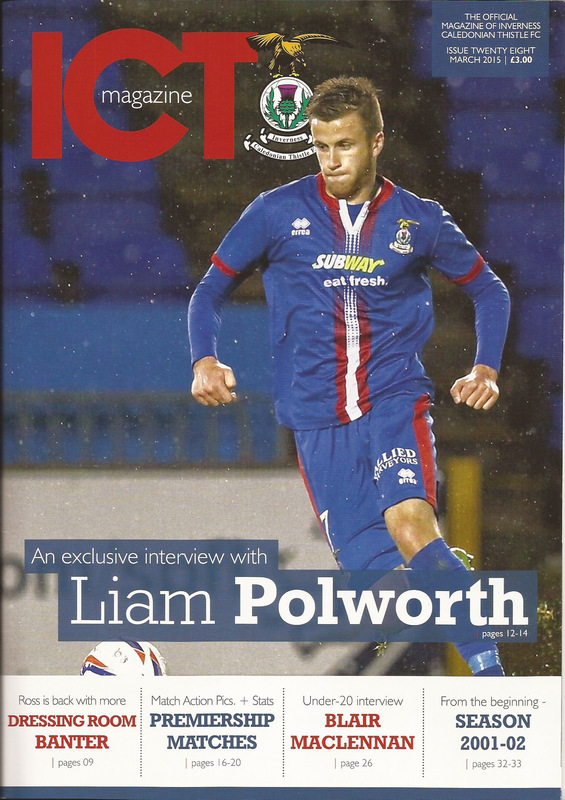 but the boys just keep digging in and they deserve to be in a cup final..."
"... great for the highlands..."
Caley Jags progressed to the semi-finals of the Scottish Cup after a home win against Raith Rovers. Despite numerous opportunities in the first half Caley Jags failed to score. The situation changed after 63 mins when the only goal of the match came. A Greg Tansey corner was met by Danny Devine at the back post, where he headed in the winner. 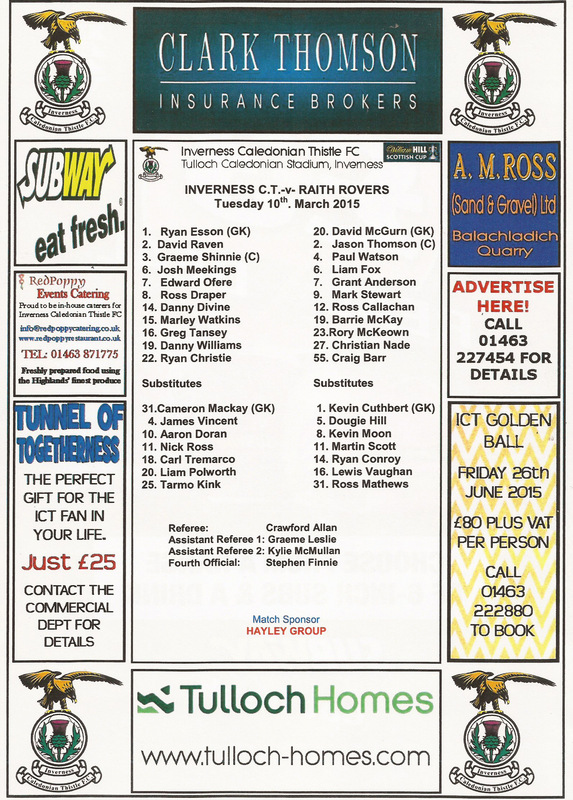 Manager John Hughes: "... In the first half we were very good and a little bit unlucky to come in having not scored a few goals. It's all about winning the game, we knew what the prize was - a semi-final at Hampden. In the second half we weren't quite at it but we certainly did enough to win the game. We're grateful that the goal came because this club deserves to be in a semi-final. It's great for the highlands, great for the club, and I'm delighted for the board and the chairman because they've backed us and I know the financial rewards for getting to a semi-final." "... we just held on..."
Caley Jags progressed to the Scottish Cup quarter-finals after a win at Firhill. A fairly comfortable first half saw them score twice. 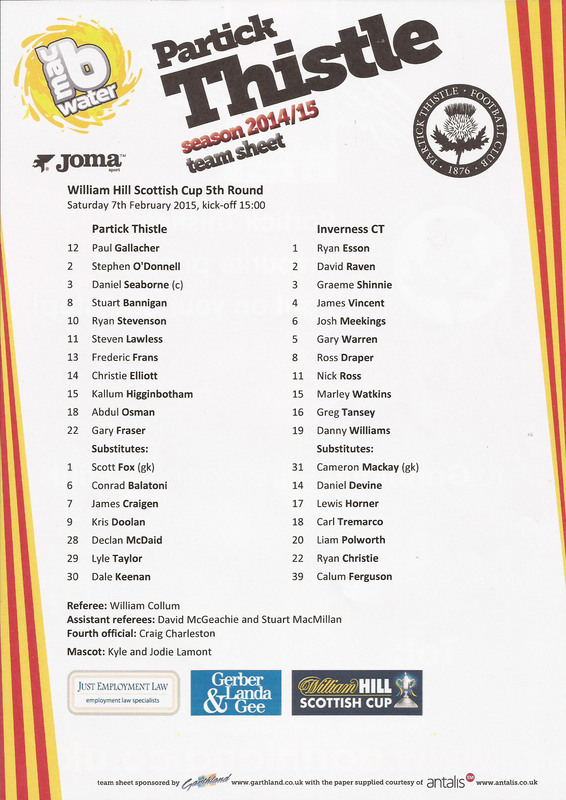 The Partick Jags had a stronger showing in the second half but only managed a single goal. 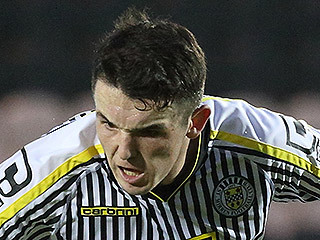 Marley Watkins put the visitors ahead after 16 mins when he outpaced the home defence to slot past Paul Gallacher. 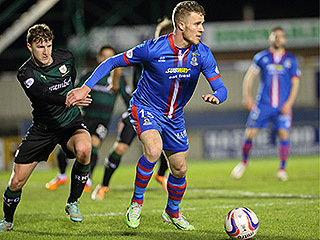 Greg Tansey got a second for Caley Jags on 27 mins, again making short work of the home defence. Lyle Taylor came on as a substitute at the start of the second half. This tactical move was rewarded on 67 mins when his shot from the edge of the box beat Ryan Esson. Manager John Hughes: "...On our first half performance it would have been an injustice had we not won the football match. Some of the stuff we played in the first half, it was real good stuff. Dominated the game and should have been two or three goals up. That's my only disappointment, no-one in the second half was brave enough to get on the ball, two or three passes, and take the sting out of the game. 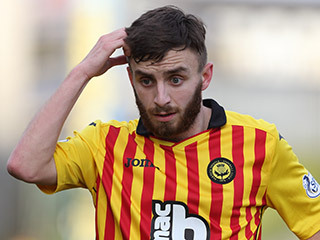 All credit to Partick Thistle they gave it a real good go and we just held on..."
Caley Jags set up a meeting, with Partick Thistle, in the fifth round of the Scottish Cup after storming past the Buddies in their fourth round replay. The opener came from a Greg Tansey corner on 20 mins which was nodded in by Gary Warren. Moments later Jim Goodwin downed Marley Watkins in the box. The resulting penalty made it 2-0 after Greg Tansey sent Mark Ridgers the wrong way on 23 mins. Billy McKay blasted a shot off the bar. Sean Kelly failed to clear from the rebound allowing Danny Williams to finish on 67 mins. Graeme Shinnie made it 4-0 on 90 mins. Manager John Hughes: "It was a good team performance, we were clinical and I'm absolutely delighted. I have to admit I was a bit apprehensive about the game tonight but all credit to the boys, we went about our business in a real good manner. They are a wonderful bunch to work with. I get everything out of them. I see boys that are enjoying their football, they're playing with an education, we're passing it really well and we're confident." 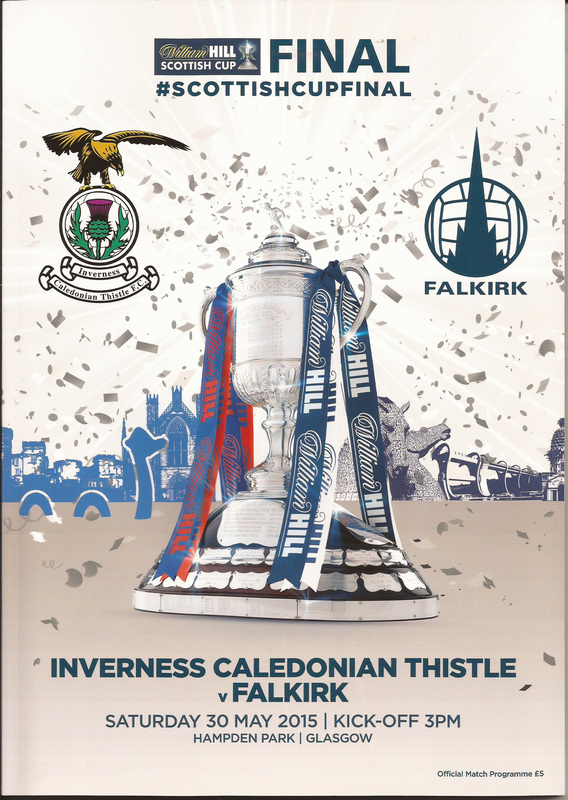 Caley Jags face a replay in Inverness after drawing in Paisley, in the 4th round of the Scottish Cup. A single goal in the first half saw the Buddies ahead as the teams went into the break. The goal came on 17 mins from Marc McAusland. Caley Jags levelled on 63 mins through Josh Meekings.